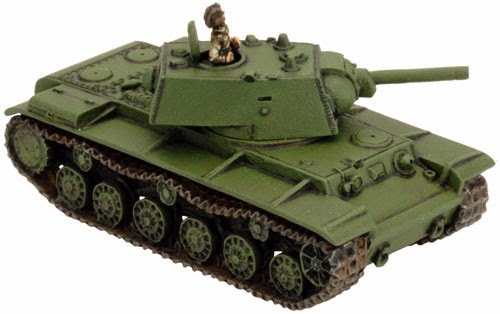 I have decided to assemble and paint KV-1 obr. 1940 for one of my armies and practice before some more demanding paintings as a practice. I was choosing between Battlefront and Zvezda models. "Победа будет за нами" means "Victory will be ours". As I own both of them, I have chosen for this article Zvezda models. First let's find something more about this awesome tank from beginning of WWII, which was the wreath for German panzers during the Operation Barbarossa. 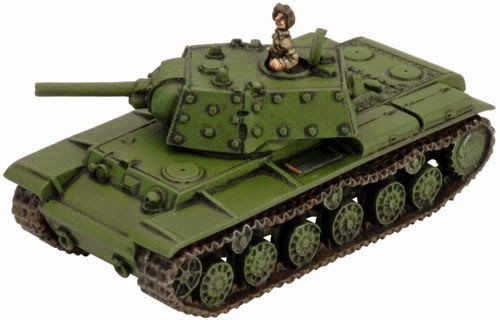 Kliment Voroshilov (KV) tanks were a series of Soviet heavy tanks named after the Soviet defense commissar and politician Kliment Voroshilov and used by the Red Army during World War II. 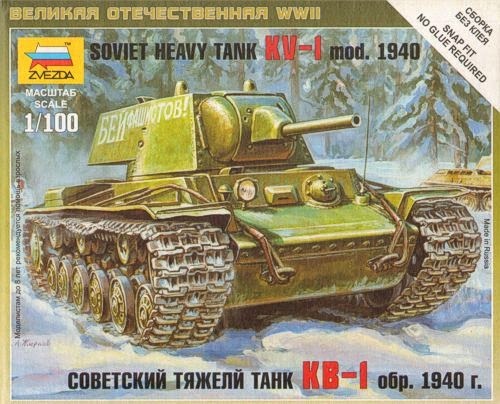 The KV series were known for their extremely heavy armour protection during the early part of the war, especially during the first year of the German invasion of the Soviet Union. They were practically immune to the 3.7 cm KwK 36 and howitzer-like, short barreled 7.5 cm KwK 37 guns mounted, respectively, on the early Panzer III andPanzer IV tanks fielded by the invading German forces. Until more effective guns were developed by the Germans, the KV-1 was invulnerable to almost any German weapon except the famous 88 mm gun. 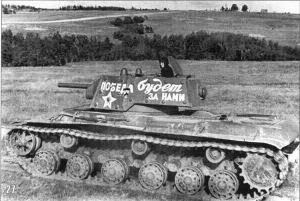 Even then, the sloped and reinforced front armor and turret of the KV-1 caused hits from the 8.8 cm Flak gun to ricochet. As first thing all gamers think about finance, as they are limited by their wifes or their budget. Happy gamers without any restrictions! 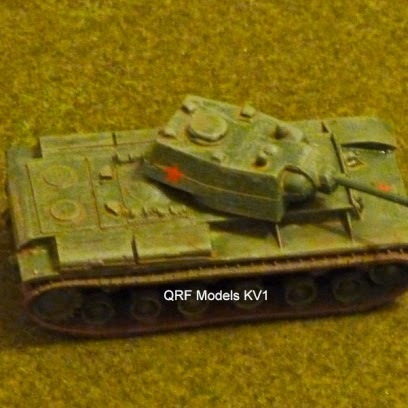 Let's see what we can get looking at the KV-1 options on market. Zvezda model is better with details then Battlefront model, but it has some drawbacks too. 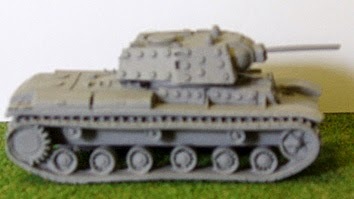 It is not exactly 15mm (it is either 1:100 or some measures are not matching), I personally do not like too complicated assambly of model and the way how turret is attached to tank body. 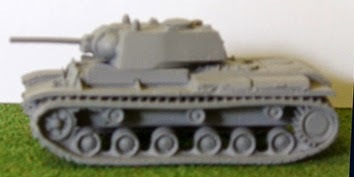 I am trying to ignore two first drawbacks and I am connecting turret and tank body with 2 small magnets. I have chosen this producer to test and prepare few tanks for fun. 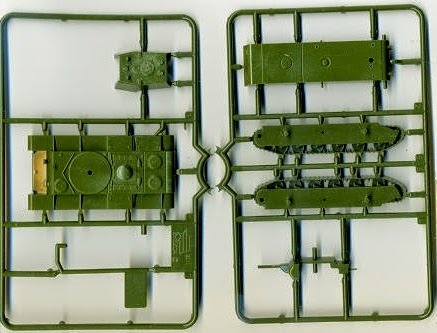 Skytrex models usually have very good quality, unless some of the tracks with some tanks (like Abrams) are too light for the tank body weight and these tracks tend to get deformed. 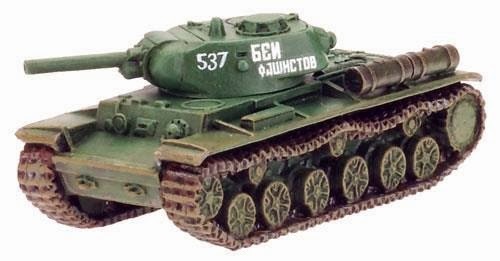 I am convinced, this is not KV-1 case. 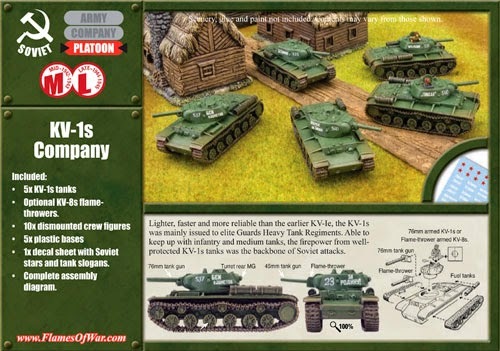 Plastic Soldier has usually very good quality and great level of detail including variability. 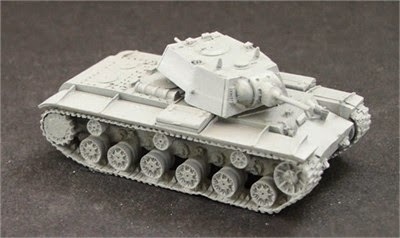 Therefore you will buy 15mm KV 1/2/S/85 version right away. My personal preference here is better for going into this models, as usually they are vey flexible with versions for reasonable price. QRF has approximately the same quality like Skytrex.com, sometimes are models very similar. I like metal for model's cast, but I am not convince of too ligt parts. What is your rating post on our Facebook page here!